Awesome! I love the Nutcracker *and* Legrand, so . . . I am also not so patiently waiting for this one. The combination of Legrand's writing and a Nutcracker retelling are almost too much for me. Interesting! Cavendish has been on my to-read list for a while now, so I'd better get to it! A retelling of the Nutcracker sounds like a lot of fun, so I'll keep an eye out for this one too. This book looks great! I've always really liked Legrand even if I haven't read her other books because my "like rate" for middle grades is so low. This is doubly exciting for me : one because I'm not very familiar with the original tale (do you know of any other retellings?) and second because the story sounds really good unto itself. Haven't read any of her books yet but will definitely give them a try. Thanks for bringing this to our attention! 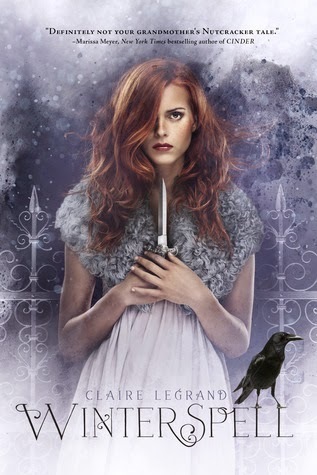 I love Claire LeGrand's writing so I pre-ordered this as soon as I was able to. Can't wait!